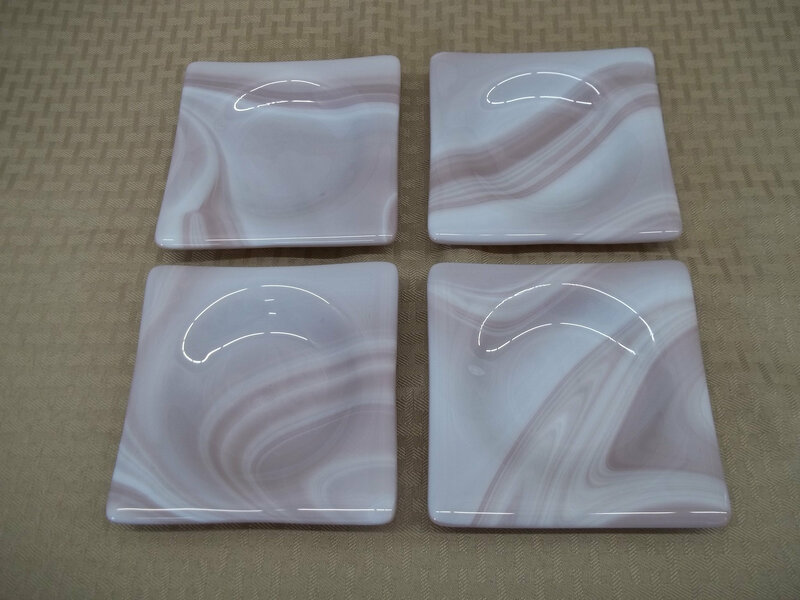 This set of four coasters was handcrafted with a beautiful mauve and white glass. 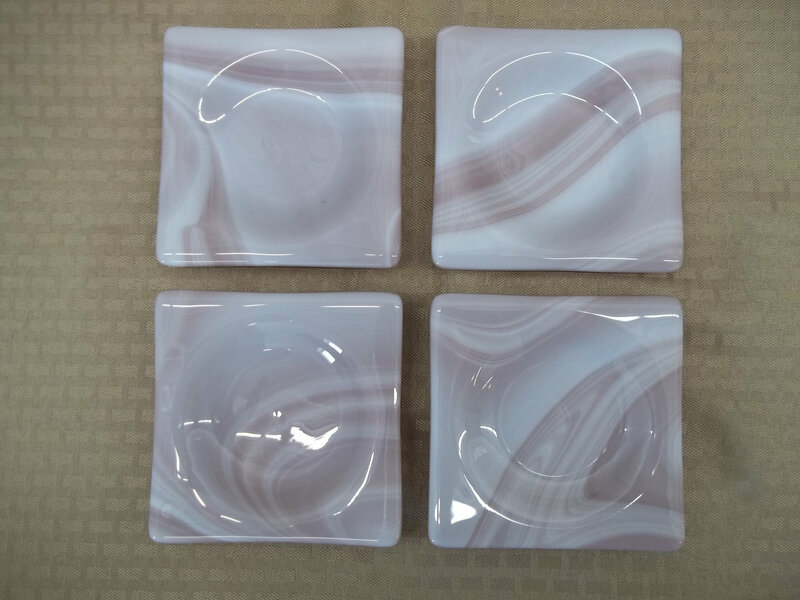 Each coaster measures 5" x 5". The center is recessed for your cup which keeps wet glasses from sliding. 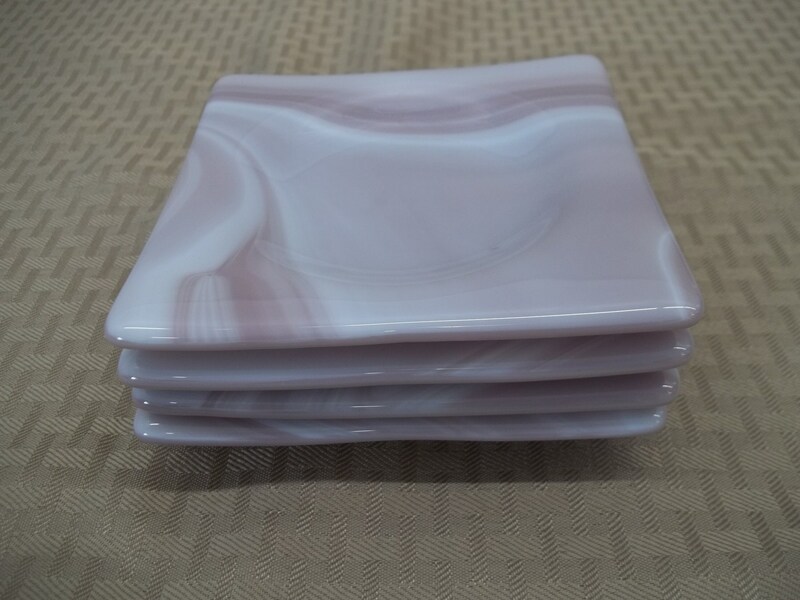 Four rubber feet have been added to each coaster to protect your furniture, to keep the coasters stationary and so that they stack neatly and quietly.